Robe Traders have a vast wealth of experience in production of towels and towelling products including Bathrobes, Slippers, etc. Whatever your requirements from small gym towels with corporate logo to jumbo beach towels with full colour print, give us a call and we will guide you through your endless possibilities. Our standard ranges of stock towelling are in a deep pile heavyweight. From 580gsm to 650gsm, they are some of the most luxurious towels available combining a softness of touch with a long lasting strength. Our Royal Spa range in a 580gsm is available in pure White and rich Navy and, with a classic border design, it presents a superb quality image. For even more unashamed luxury our Country House 650gsm range offers a vast array of colours in a superbly soft combed cotton. Custom sizes available for any purpose. We regularly produce other sizes for Health Spas, Gyms, etc. Please ask for details. From a 220gsm Waffle Kimono in pure soft cotton to a Luxury Heavyweight Shawl Collar Terry Towelling Bathrobe in a hefty 650gsm, Robe Traders can supply small quantities from Stock for immediate delivery. We can also supply your custom tailored requirements, whether it be a lightweight kimono or the worlds most luxurious heavyweight shawl collar or hooded robe - Robes can be produced in any weight, style, size and colour if you allow a little longer! Robe Traders will give the same care and attention to every order, no matter how small and our unwavering attention to detail comes free of charge! 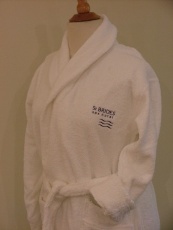 Please contact us if you have bespoke Bathrobe requirements that you would like to discuss call 01949 844441. 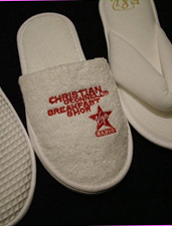 Please contact us if you have bespoke Printed Towel requirements that you would like to discuss. 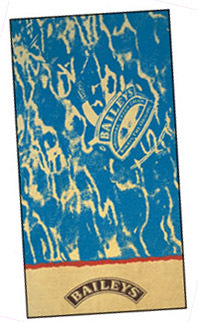 Jacquard Woven Towels offer great scope for design effects over the entire towel surface. As an option, a velour finish increases the definition and gives that extra soft luxury feel. Please contact us if you have bespoke Jacquard Woven Towel requirements that you would like to discuss.